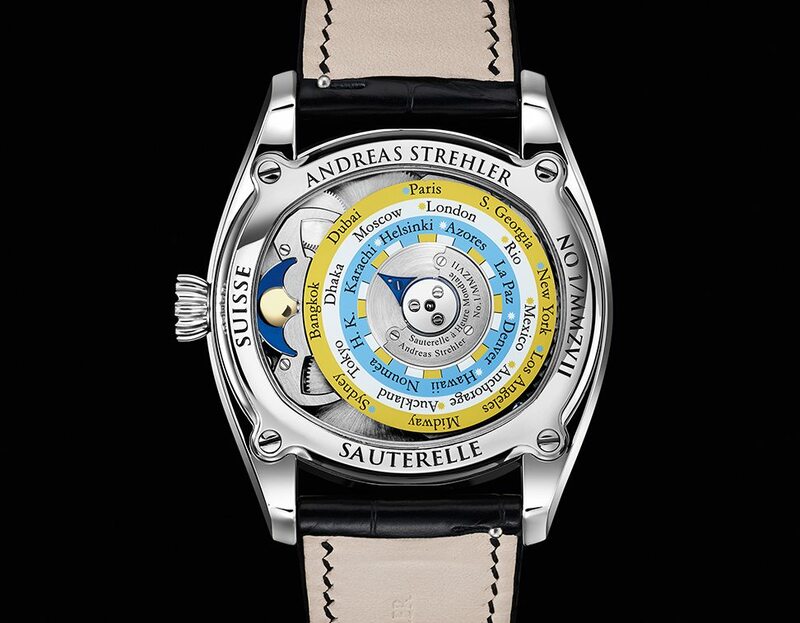 Undisputed heavyweight master of the moon phase Andreas Strehler knows a fair bit about his speciality complication; his world record-holding Sauterelle à lune perpétuelle is precise to one day in over two million years. 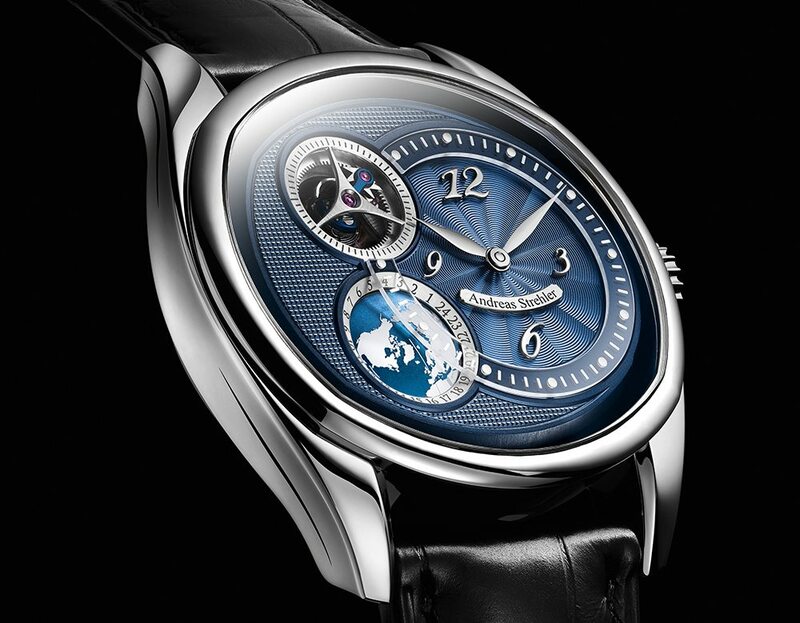 Now however the niche watchmaker has set his sights on more terrestrial horizons with the Sauterelle à heure mondiale. The newest version of the Sauterelle is a world timer with a difference. Instead of where the moon phase would normally be on a Strehler watch there’s a view of the northern hemisphere rotating precisely once every 24 hours. It’s balanced by the watchmaker’s remontoir d’égalité (a unique constant force mechanism) at 10 o’clock. 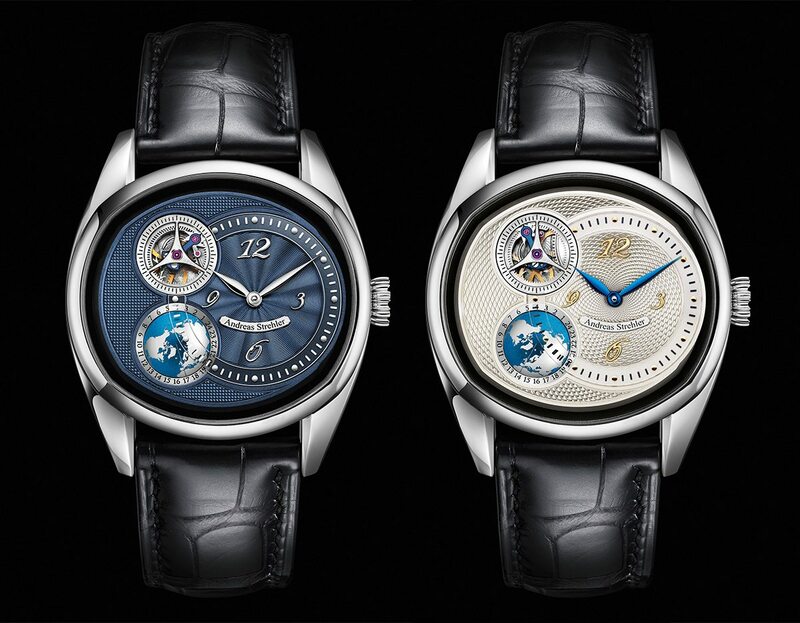 Other than that the dial’s clean and lovingly finished with various forms of guilloche in a deep ocean blue. It’s a lovely watch but so far not exactly a world timer. Granted there’s a globe doubling as a second time zone indicator but where are the others? It’s not a world timer without ever time zone on the planet. Flip over the watch and you’re presented with a colour-coded three-ringed time zone indicator with all major cities. It’s certainly an interesting way of achieving all 24 time zones while keeping the dial side elegant, even if it’s perhaps not the most useful method. Because this is Andreas Strehler, the time zones are joined by a moon phase indicator right next to the crown on the movement side. It’s small, delicate and easily missed, but still accurate to two million years. 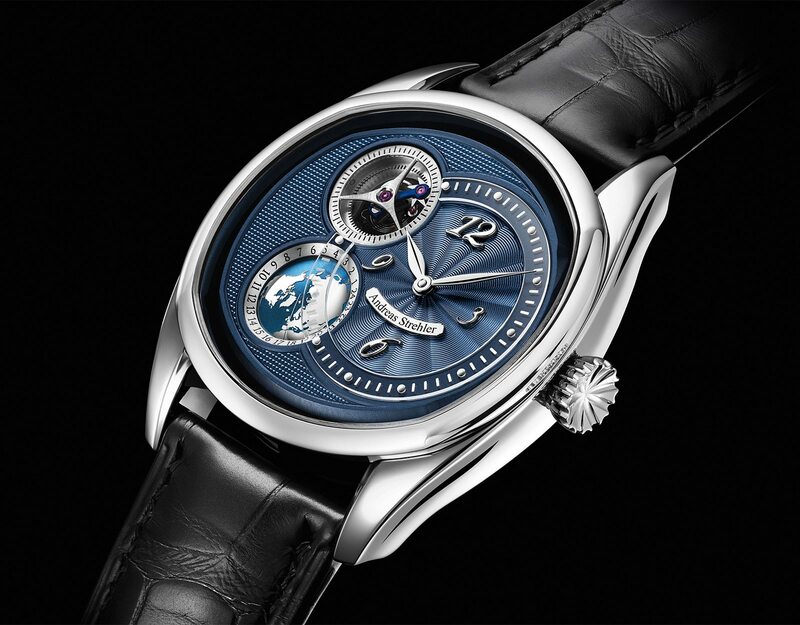 It might be a decidedly earthbound timepiece, but that doesn’t stop Strehler glancing up at the moon now and then. 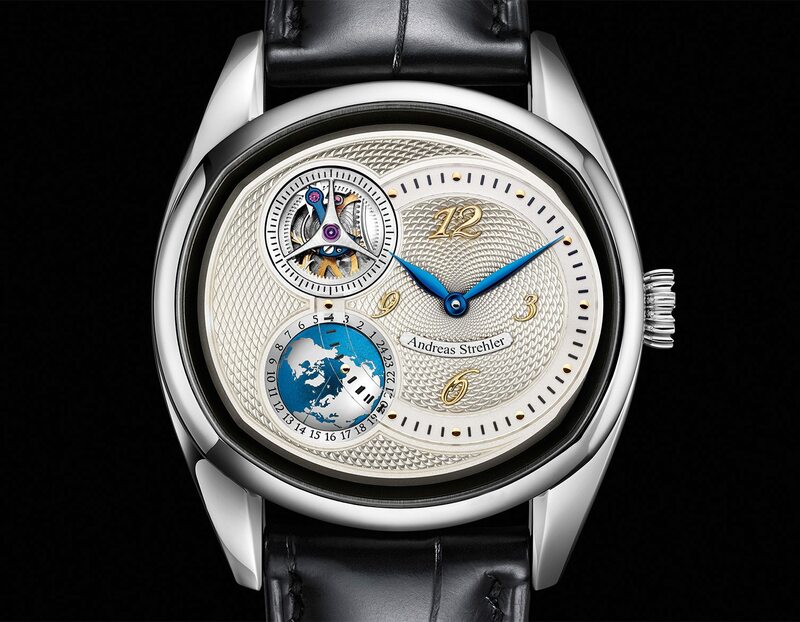 Share the post "Andreas Strehler Sauterelle à Heure Mondiale"